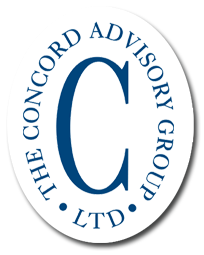 The Concord Advisory Group, Ltd. provides healthcare industry clients with investment consulting services directly related to operating, sponsored retirement plans (both defined benefit and defined contribution), funded depreciation and captive insurance company reserve portfolios. As with all of our clients, Concord takes a holistic approach when providing strategic advice to healthcare industry clients, taking into consideration the entire financial structure of the entity inclusive of liquidity, operating and financial leverage, as well as, overall risk management. Asset / liability management, pension funding strategies, and reserve fund investment strategies are all areas of our expertise. The Concord Advisory Group, Ltd. has decades of expertise in the healthcare industry. As one of the largest segments of our client base we work daily on the issues you face. Concord’s leadership and expertise is utilized by healthcare institutions to maximize the performance of the various investment portfolios housed within a typical healthcare system. Our dedicated service team model, made up of seasoned and experienced consultants that have worked for over 25 years with healthcare clients, is viewed as a key component to working successfully with healthcare clients.